Liverpool got lucky in the UEFA Champions League group draw, but will luck be enough to take them to the knock-out stages? 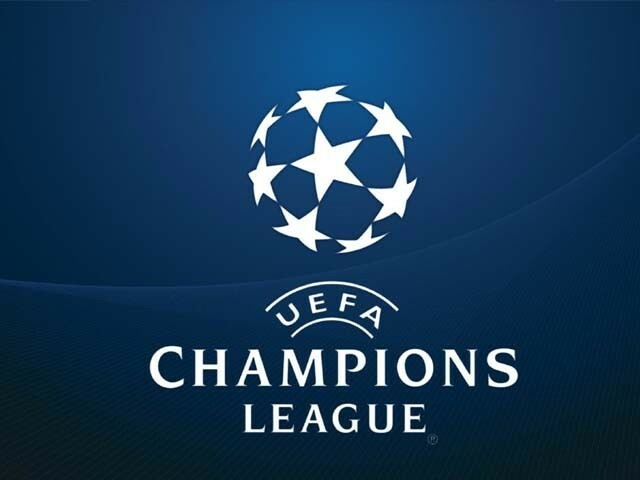 For a huge football fanatic like me, not giving two hoots about the UEFA Champions League (UCL) is a bit unheard of. But that is precisely what yours truly has been doing for the past several years. People who know me would find this really hard to believe, but there is a very simple reason for this seemingly bizarre behaviour of mine. You see, I might seem like I am football mad, but the truth is I am only crazy about the club I support, Liverpool (LFC). Now anyone who has a passing interest in football would be aware of our European struggles as far as the current decade is concerned. Since the 2009-10 season, The Mighty Reds have made it to the UEFA Champions League just once. Now with a participation record as wretched as that, it surely can’t be too hard to understand my recent aversion towards the premier continental football competition. But by successfully negotiating a tricky play-off tie against German club Hoffenheim, we managed to become a part of the draw for the main tournament for the second time in eight years. And the funny part is that with this particular development, my appetite for Europe’s top club competition has returned with full force. The draw took place last week in Monaco and despite Liverpool being placed in Pot 3, it somehow ended up being paired with Sevilla, Maribor and Spartak Moscow in Group E.
For the uninitiated, that means despite being a lowly ranked team – owing to the recent mediocre continental record – LFC still managed to avoid teams such as Real Madrid, Barcelona, Juventus, Paris St Germain (PSG) or Bayern Munich during the preliminary group stage. Minus their encounters against old foes, Sevilla – the side who beat them in the Europa League final in May 2016 – Liverpool will be fairly confident about defeating their opponents and progressing from the group that contains the champions of Russia and Slovenia. The same goes for Manchester United, who despite finishing sixth in the Premier league last season (they only managed to qualify by winning the Europa League) were handed a relatively easier draw of being grouped with Benfica, Basel and CSKA Moscow in Group A. However, a point to note here is that United were sent packing after finishing third from a group with somewhat similar composition, consisting of Benfica and Basel in the 2011-12 event. Group B contains German giants Bayern Munich and a Neymar-led PSG, who are the two clear favourites for the knock-out rounds. It also consists of the Scottish and Belgian champions Celtic and Anderlecht. Now Chelsea might have been the Premier League champions going into the event but luck wasn’t so kind to them during the draw. They ended up in one of the toughest groups of the draw, paired with Diego Simeone’s Atletico Madrid and Italian high-flyers Roma in Group C. They also have to contend with an away fixture all the way across Europe against Qarabag, who are the first team from Azerbaijan to qualify for the UCL group stages. Group D should be relatively straight forward for last season’s finalists Juventus. This is because Juventus are grouped with Olympiakos, Sporting Lisbon and Barcelona, who, are at their lowest point after losing Neymar to PSG. Manchester City should have serious hopes of qualifying as leaders from Group F despite some tricky opponents such as Napoli, Shakhtar Donetsk and Feyenoord in their group. Pep Guardiola’s squad was tremendously invested in by the owners, thus anything less than progression into the knockout stages would be seen as a massive failure and could jeopardise his future as the club’s guardian. Group G is arguably the most difficult group to call out. With equal sides, Monaco, Porto, Besiktas and RB Leipzig forming the quartet that makes the group, only a fool would bet on the outcome of this particular group. Tottenham received the toughest draw of the five English clubs in the group stage as they were paired with the defending champions, Real Madrid and German dark horses, Borussia Dortmund. But with APOEL Nicosia rounding up the group, they can at least be sure of securing the third spot, which would give them access to the Europa League. The Champions League group stage begins on September 12th and ends with the last match on December 6th. This season’s final will be played on May 26th in Kiev, which is less than three weeks before the 2018 FIFA World Cup kicks off in Russia.